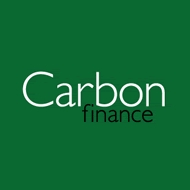 Carbon Finance is a monthly newsletter and e-mail update service providing in-depth coverage of the global markets in greenhouse gas emissions. Increasing the EU’s 2020 emissions reduction target to 30% below 1990 levels would add an extra €33 billion ($42.5 billion), or 0.2% of GDP, to the final bill, according to draft European Commission proposals. The leaked paper says that a 30% target would cost a total of €81 billon, €11 billion more than the amount member states had originally agreed to pay to achieve a 20% cut, and claims that the additional costs would be offset by benefits in terms of energy security, air quality and jobs. The EU Emissions Trading Scheme (ETS) could be brought in line with the new target by setting aside 1.4 billion allowances in Phase III, according to the paper. This would correspond to an average reduction of 15% in auctioning rights per member state. The paper also claims that increasing the reduction target to 30% could spur low-carbon investment by boosting the EU allowance price to €30. For sectors outside the ETS, the Commission proposes implementing a €30 per tonne EU-wide carbon tax. It also claims that further significant emissions reduction is still possible in central and eastern EU states, suggesting that green investments in these countries could be funded from the EU’s budget instead of via the sales of surplus Assigned Amount Units (AAUs) – the use of which should be discouraged, it says. AAUs are the units issued to governments with emissions caps under the Kyoto Protocol. The paper discusses the possibility of introducing “border measures” on imports of goods from jurisdictions without equivalent carbon caps, but says that such measures would need “careful consideration” to avoid breaking international trade rules and upsetting major trading partners. The paper tries to put a positive spin on these cuts, insisting that moving to a 30% reduction will avoid having to make more painful reductions after 2020 to meet the EU’s 2050 objectives. Moreover, it claims that the increase would have a minimal effect on industry. “Stepping up to 30% would entail estimated production losses of around 1% for the ferrous and non-ferrous metals, chemical products and other energy-intensive industries,” says the paper. These losses would be minimised if other “major trading partners” implement pledges as well. But industry remains unconvinced. Folker Franz, environmental advisor for Brussels-based lobby group BusinessEurope, insisted that “the international conditions have not been fulfilled” for the EU to move to a 30% reduction. “Further emissions reductions would be very costly for European industry despite the economic crisis,” he added.